Following the trade association’s recent investment in Brooke House Exhibitions, making it the outright owner of the Exclusively shows BHETA has announced plans to accelerate its member engagement programme and will “re-organise its management structure accordingly”. The new structure sees Will Jones, currently BHETA’s housewares sector director, take up the newly-created position of chief operating officer, reporting to BHETA executive chairman Andrew Weiss. Hs new role with give him responsibility for overseeing and delivering BHETA’s strategy in all market sectors, as well as heading up day-to-day operations in support of all membership activity, including the Exclusively shows. BHETA home improvement sector director Paul Grinsell is to leave the association at the end of May, having resigned ahead of the res-tructuring in order to realise a long-held dream of taking an extended European and Russian motorcycle road trip. He told DIY Week he will be seeking other opportunitiues in the industry after the summer and will continue work with consumer awareness initiative, National Home Improvement Month, which kicks off next month. 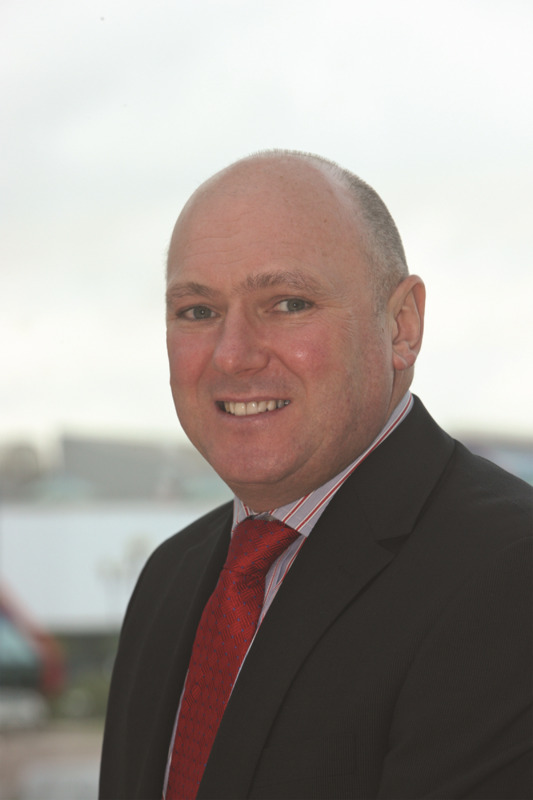 Mr Grinsell joined BHETA in Setpember 2015, taking over the role from Peter Stone, when he departed after nearly six years to support Centurion Europe in its global drive in the newly-created role of sales and marketing director. Clare Holland, currently BHETA financial controller is to become financial director, supporting both BHETA and Brooke House Exhibitions. Ms Holland will also continue in her position as treasurer of The Rainy Day Trust. Nicola Adams- Brown is to become membership services manager, with particular focus on export initiatives and member engagement and retention, supported by the member services team. According to BHETA, this new structure is designed to spearhead existing and new initiatives in the home and garden market place and to drive representation and added-value engagement for existing and prospective members in all the sectors BHETA represents. Three new posts are to be created – a marketing manager and two sector managers, for housewares and home improvement (DIY) respectively. All three will report to Will Jones. The new marketing manager will oversee all marketing activity relating to the Exclusively shows as well as strategy and implementation for BHETA marketing initiatives in general, across traditional and digital platforms. The two sector managers will be charged with supporting existing members with added value initiatives and enhanced engagement plans in the respective sectors as well as increasing the membership base through recruitment. Commenting on the new structure, BHETA executive chairman, Andrew Weiss said; “I am delighted to announce the new structure which will meet the requirements of today’s market and provide both the focus and support that is needed to deliver full member engagement and some ground-breaking new initiatives to drive all sectors’ interests. It is also excellent news that we have the experienced leadership of Will Jones to drive BHETA forward into a new era.